It’s been a couple of months now since I made the move from West London to North. And I have fallen head over heels for a wonderful part of town called Barnsbury. If you’ve ever been here – you’ll know why. Tucked away between Kings Cross, Highbury & Islington and Angel, Barnsbury reminds me of platform 9 and 3/4. Many people don’t really know of its existence and it’s a gateway to magical secrets and experiences. (More on those to follow in later posts). 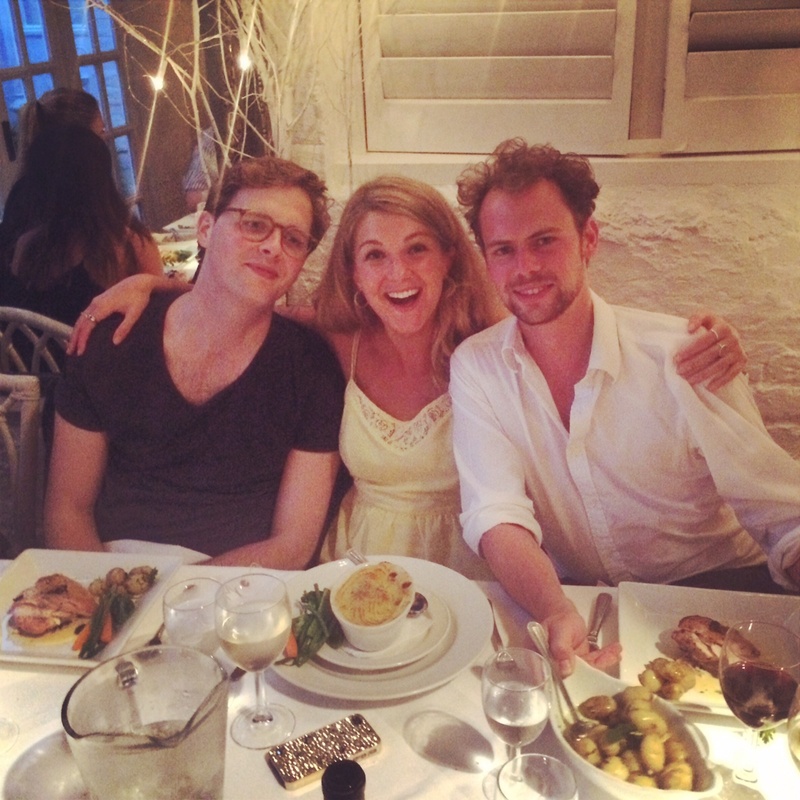 But for now let me tell you about the not-so-secret yet absolutely magical restaurant called Sunday. I once read a review that stated ‘Sunday Barnsbury is the neighbourhood restaurant that everyone wishes they lived next door to’ and they really were right. So much so, that this place has queues out of the door every Saturday and Sunday. Long queues. Sunday’s like the Berghain of Barnsbury. But with more food, and everyone gets in… eventually. Throngs of people are willing to freeze at 9.15 on a February morning, waiting in line for brunch at Sunday. (I have actually seen people run to beat other people to the front of the queue before it opens at 9am on a Saturday morning). If that’s not dedication for a perfectly poached egg, I don’t know what is. In our culture of instant gratification, queuing is annoying. Especially if you’re hungry / hungover / checking Instagram for real time food updates on the inside, dreaming of Deliveroo. 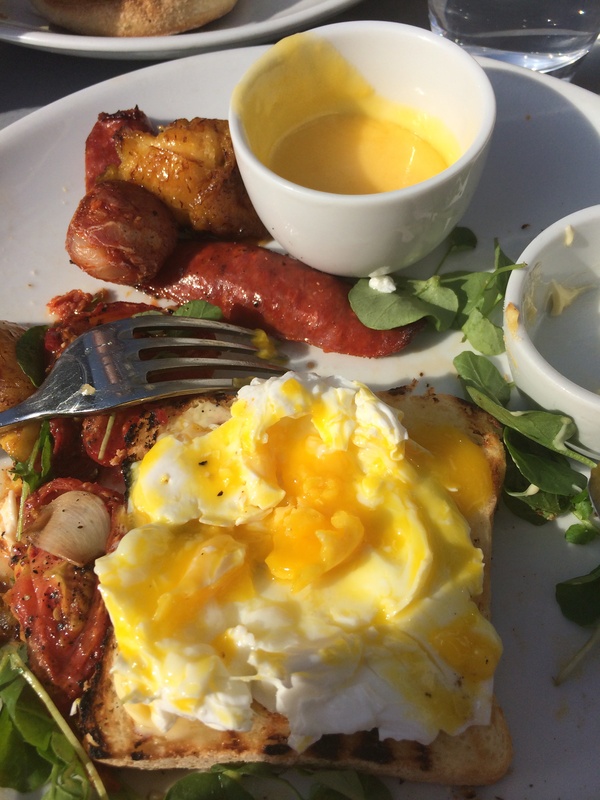 Brunch at Sunday isn’t for the faint hearted. Come hungry! Without a doubt, Sunday is worth the wait. I do think they should build another one next door (hey, why not call it Saturday?) so that they can serve more people but I also think they should more accommodating to people in the queue. Once you’ve got your name on the clipboard, you’re not shown any “Sunday love” until you get inside. They could make more effort to serve tea and coffee to those who are waiting outside. Once you’re in though, it’s all about the delicious and creative food options, alongside freshly roasted coffee. 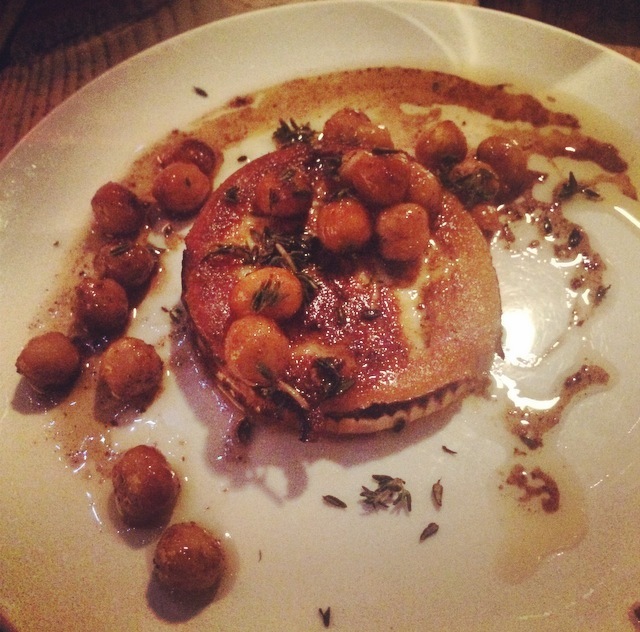 The menu changes weekly and is focused around fresh and seasonal ingredients. They are very friendly to gluten-free people and have the most amazing GF toast if you ask for it. I’ve eaten here a few times now and my favourite dish has to be the ham hock potato rosti with poached egg and rocket, picture below. They also serve Bloody Marys, bubbles and wine – so you can get your breakfast booze fix if that’s what you’re looking for. TOP TIP: If you don’t fancy the weekend queuing malarkey or getting up early, why not try booking for dinner? They serve dinner on Thursday, Friday and Saturday nights – no queuing included. The buzzing little place is filled with candles and is a good option for an intimate dinner with friends or a date. 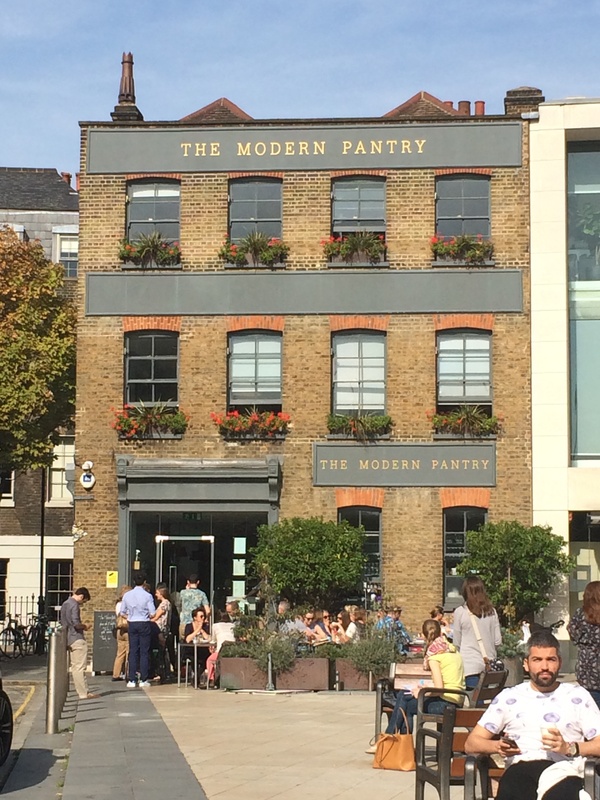 If you like your juices freshly blended, your flat whites strong yet foamy, your bread gluten-free and your eggs perfectly poached, head to Clerkenwell for breakfast at The Modern Pantry. This place does a seriously good brunch. 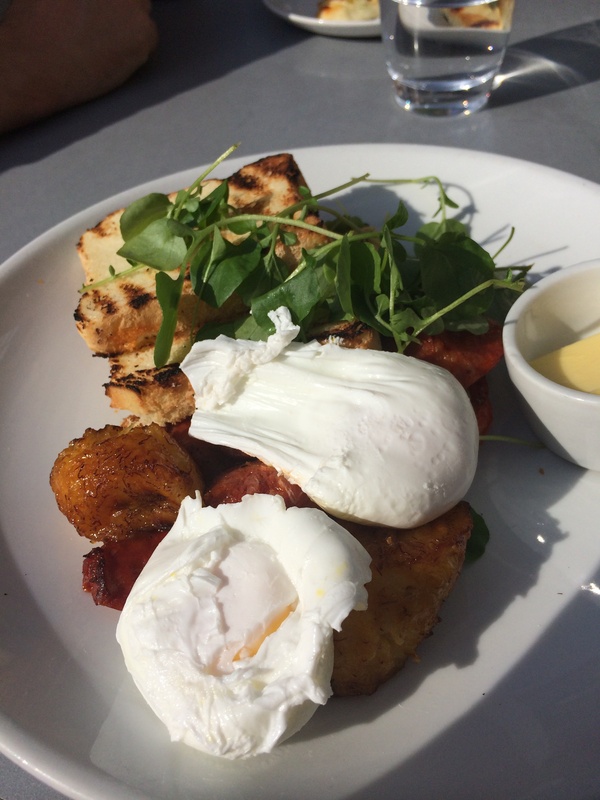 We sat in the late Autumn sun outside and read the extensive menu, trying to decide which option we could leave out. Halloumi? Chorizo? Wilted spinach? In the end we just ordered them all! 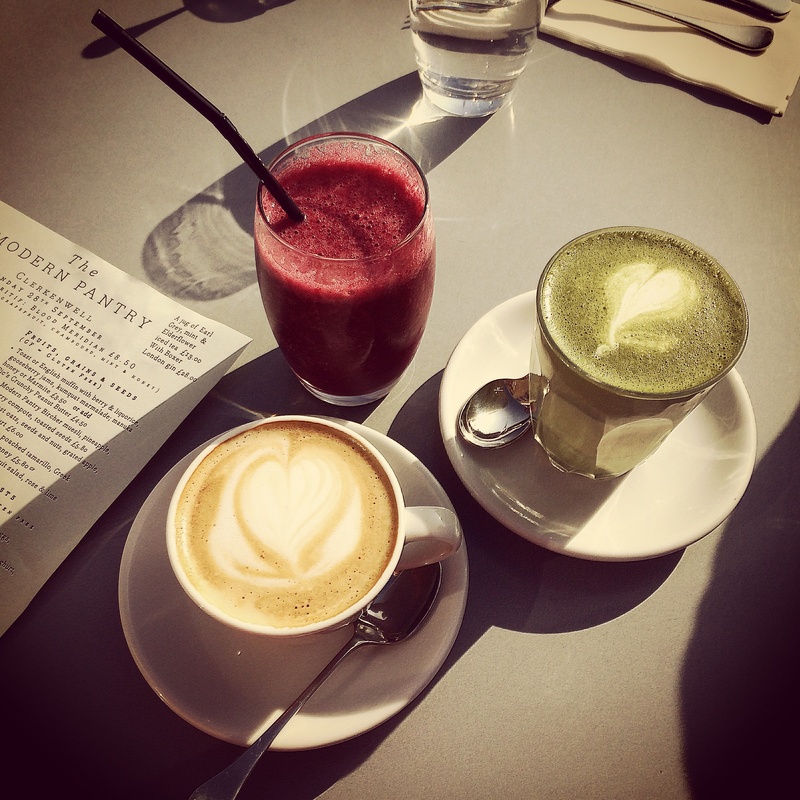 Before the food came we ordered more coffees and a Matcha almond milk latte – basically superfood! Energised enough for our feast, we tucked into the breakfasts in all their glory. This is now a firm favourite on my list, and very friendly to the gluten-free peeps. I’m already planning my next visit! 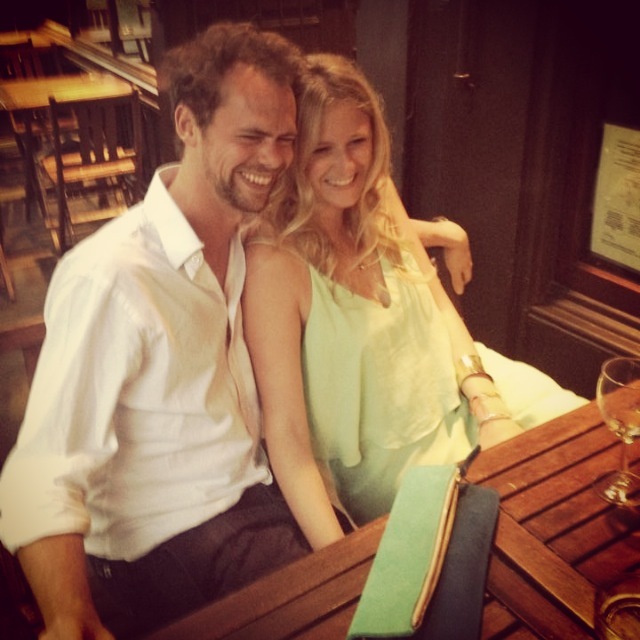 This year I was lucky enough to celebrate my birthday at Julie’s Restaurant & Champagne Bar. Nestled away behind Portland Road and a short walk from Holland Park tube station, the restaurant is somewhat of an institution in the area and has been open since 1969. 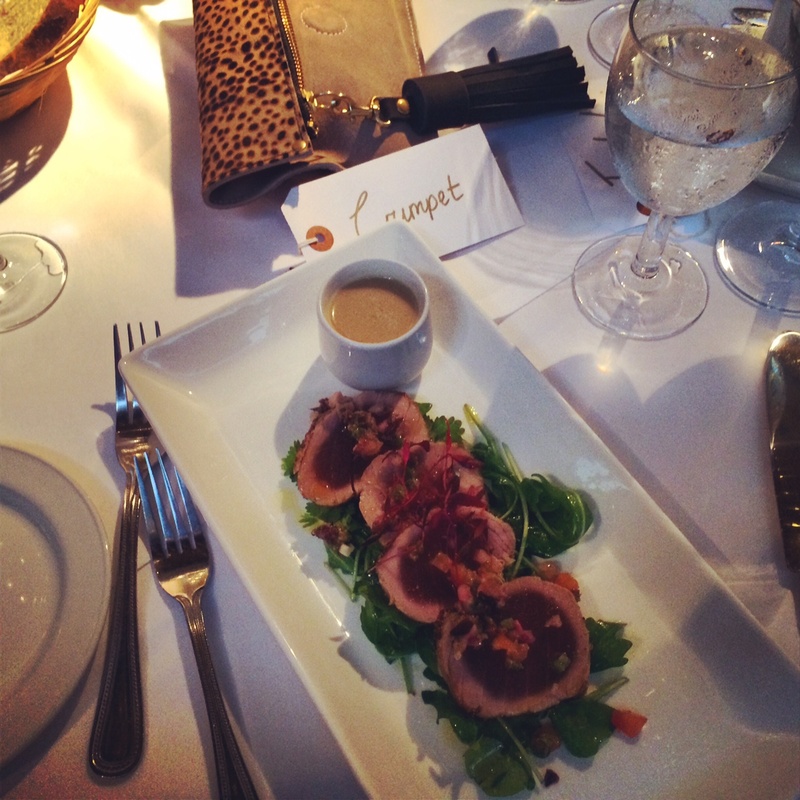 The lovely staff produced a gluten-free menu for me at the last minute, so I had delicious tuna sashimi as a starter, followed by the chicken in a truffle and port sauce. The food was heavenly and the service was seamless. I really can’t fault the restaurant one bit, and I’m really looking forward to my next visit. Thank you Julie’s! P.S: My leopard-print handbag was a present, designed and handmade by my very talented friend Lara Lindsay. Click here to visit her website. Set up by Oliver and Richard Gladywn, the concept for The Shed is simple: locally sourced sustainable produce with little waste. They put together a daily-changing menu of delicious tapas-style sharing plates with many of the ingredients hailing from their family farm in Nutbourne, West Sussex. The menu can be a little confusing on your first visit. ‘How big are the ‘Mouthfuls?’ ‘How many dishes should we order?’ Luckily the friendly lumberjack-shirt-wearing staff are always eager to talk you through every plate on the menu. I would recommend 3-4 dishes each if you’re not too hungry but 5 will fill you nicely if you’re ravenous! Favourites on the current menu: Chorizo, labneh, crisp bread and kale (£8), Lamb chips with harissa (£7.5), Wood pigeon with port (£9), Veal ragu and tagliatelle (£8.5), Pan fried goats cheese (£6.5), Spatchcock quail (£8.5). The desserts are excellent if you have room. 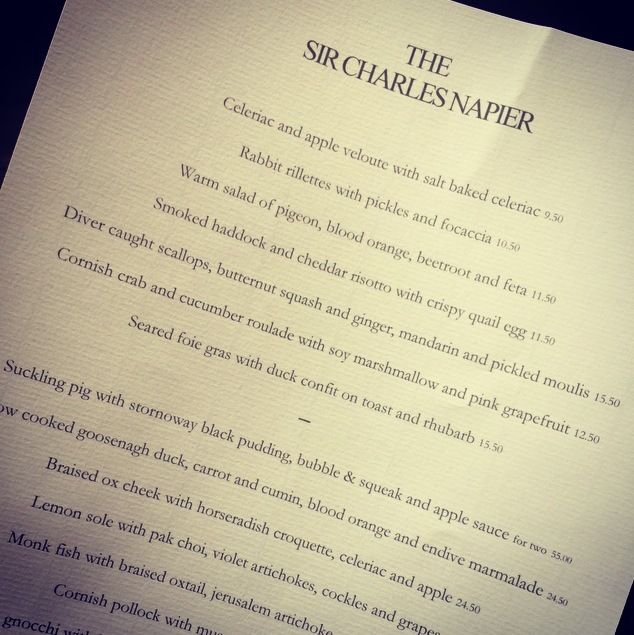 The Sir Charles Napier was so good that I had to start a food blog so I could write about it! This Michelin-starred gastropub in Oxfordshire had been on my list for a while, but my visit with my family last weekend did not disappoint. Entering the cosy pub with its exposed beams and crackling fires on the sunniest day of the year so far, made me very proud to be English! 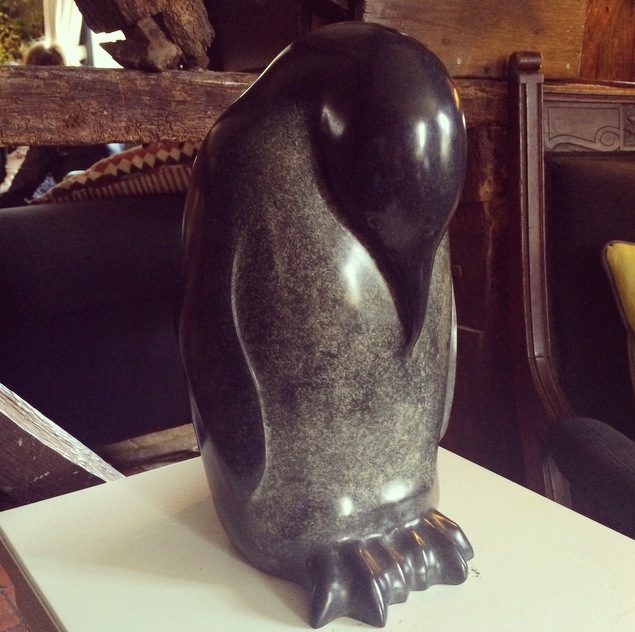 The eclectic mix of furniture, distressed walls, bunches of wild flowers and smooth sculptures by Michael Cooper added to the warmth of the place. I felt so at home, I wanted to move in.